Juggling a law career, life as a blogger, and all the crazy things that go along with being a wife and mother to an adorable goldendoodle can get a little overwhelming at times, so staying organized is a must. No matter how much I love my iPhone though, I can’t get behind using a solely electronic calendar. There is just something to be said for the ability to scribble notes in your margins and the satisfaction of actually taking a pen and crossing something off your to-do list. However, I have found in the past regular calendars to be somewhat lacking. Cue Erin Condren. I stumbled across the brand after discovering her sorority line (which I absolutely adore as an Alpha Chi Omega alumnae and past president of my school’s Panhellenic chapter). But I truly fell for her products once I took a look at her “life planner.” I mean seriously, how perfect of a concept for pretty much everyone, from the college student to the 20-something professional (me!) to busy moms. I don’t want a separate calendar, to-do list, birthday tracker, food journal, etc. I want a home base with everything. A control center, if you will. Front & Back Cover of my Erin Condren Life Planner. So I took the plunge and invested in my first life planner. I say invested because EC’s life planners start at $50, which seems like a lot when you consider that there are $10 planners available at your local office supply store. So, at that price point, I was honestly curious if it could live up the hype. Bottom line: Yes. Yes, it does live up to the hype. Run, don’t walk, and immediately order yourself one (and if you are really nice, order one for your best friend too, because let’s be honest, she also totally needs an organization makeover)! And, make sure to check out the end of the post for some savvy, money saving tips for getting and customizing your planner! One of the things I love about EC’s life planner is the way the month and days are set up. (I am super particular due to my classic Type A, Virgo personality.) I like that I have a ton of space to fill each day with not only my calendar events, but also what I’m eating, and even a daily to-do list. You also conveniently have a space for your weekly goals and notes, and a section on the bottom of each week for just about anything. The planner suggests you use it for meal plans, exercise, thoughts, inspiration, lists, etc. This is the section I use for my meal plan for the week. I am also a fan of the full-month calendar, which has large boxes you can fill and another handy section for notes. And, as you can probably see, my favorite thing about the EC life planner is that you can completely customize it to fit your personality and preferences. From the personalized cover, to washi tape, to event stickers, to photo stickers, to color-coordinated entries – the possibilities are endless! I’ve included some links to great options for customization at the end of the post! Some other fun aspects include: the pages in the back (both lined and unlined) for notes, lists, doodles, etc. ; a “keep it together” folder to hold everything from your extra photo stickers to your perpetual birthday/contact booklet; and all the amazing extras you get. We’re talking about pages of pre-printed event stickers, blank stickers you can fill in yourself, complimentary gift tags, a bound-in ziploc bag for more storage, and even a clear ruler/page holder. Plus, a recent upgrade to the new version features interchangeable covers, so you don’t have to worry about making a commitment to the same look for an entire year. (Note: for $5 extra you can get the remaining months of 2014, so you don’t have to wait until January to start your organization transformation. I chose this option, of course, and have been using my planner since August.) And, now through November 2nd, you can use the code “FREECOVER” to snag a free cover for your life planner, which is an amazing deal! All you have to do is pay shipping. 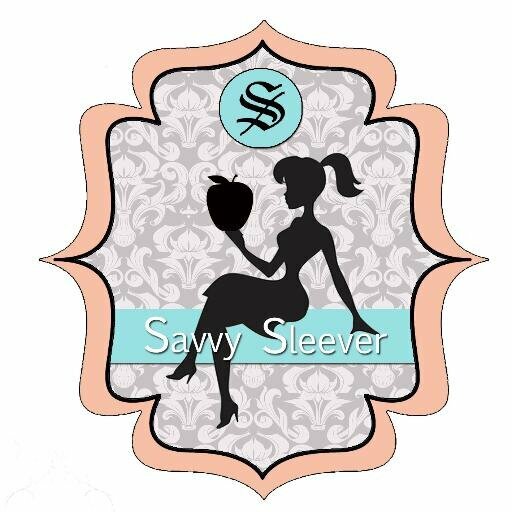 I actually just ordered the funky multicolored leopard print cover customized for SavvySleever! This entry was posted in Fun and tagged Erin Condren, Friday Favorites, organization, planner.